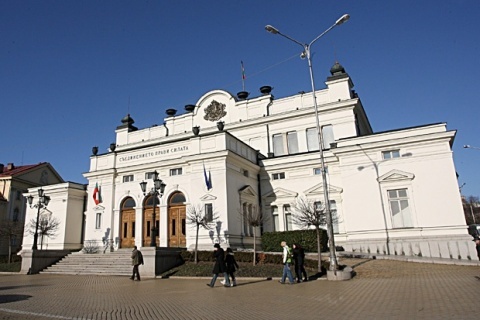 The seats in the 42nd Bulgarian General Assembly will, most likely, be divided equally between the Socialists and ethnic Turks on one side, and the centrist GERB and the nationalist Ataka on the other. The data was released Tuesday after the Central Electoral Commission, CEC, processed close to 100% of the ballot protocols from the country and nearly 97% of those from abroad. According to the most recent CEC count – GERB + Ataka will have together 120 seats and DPS + BSP – another 120 in the 240-seats unicameral Parliament. GERB has 30.53% of the vote, BSP – 26.65%, DPS – 11.22%, and Ataka – 7.31%. In the expats' vote, DPS gathered 48.48%, GERB – 21.32%, BSP – 4.55% and Ataka – 2.85%. Only 114 000 from the estimated 2 to 2.5 million Bulgarian expats have cast a ballot. The votes in neighboring Turkey have brought 3 more Members of the Parliament for DPS. The seats so far are – 97 for GERB, 85 for BSP, 35 for DPS, and 23 for Ataka. The remaining 3% protocols from abroad can change the result if most of the 3 500 ballots in them have been cast for one of the above 4 parties. From the right-wing parties, which are credited with throwing out the ex-communists who had pushed the country to the brink of financial crisis in the 90s, only Democrats for Strong Bulgaria, DSB, of former Prime Minister Ivan Kostov came the closest, but still garnering only 2.9 % of the vote. The right-wing Bulgaria for Citizens of former EU Commissioner, Meglena Kuneva, is also close to the 4% threshold with 3.25%. The nationalist National Front for Salvation of Bulgaria has 3.71%.